Embroidered Medallion Damask Travel Tote - Large fuchsia with black trim. 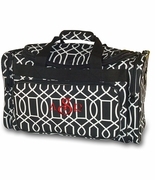 Travel light for business or pleasure with this comfortable lightweight travel duffle. Affordably priced and trendy, but not a fad. Stylish hot pink medallion damask design on a white background with black web trim. Two generous sized gusset pockets, outside side to side zip pocket with front piping. 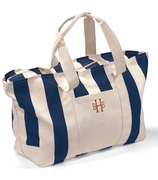 Unlined, u-shaped top zip duffle tote. 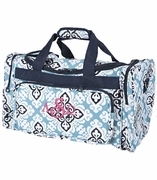 Very generous size for vacation or overnight travel. 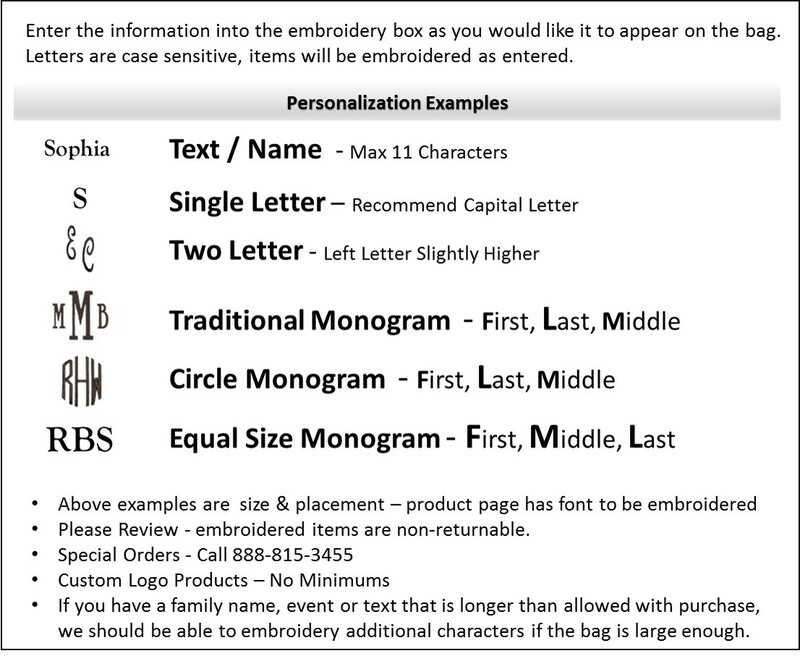 Embroidered damask travel tote measures a generous 19" wide x 11" height and eleven inches wide. Micro fiber exterior. Over the shoulder detachable carry strap. My daughter picked this bag out and we had it personalized with her name. It was mailed out the next day after ordering and we received it a few days after that. It's beautiful and she adores it.